INTENSIVE ONLINE MAGISTRATE TRAINING COURSE – PASS THE MAGISTRATE SELECTION PROCESS! Whether you are looking to become a magistrate or undertake the magistrate training programme, our online intensive training course will provide you everything you will need to become a magistrate and pass the selection process. Get FREE access for 7-days! WHAT ARE THE SIX KEY QUALITIES REQUIRED TO BE A MAGISTRATE? You will need to possess personal integrity. During the interview you will be asked to provide evidence of where you have demonstrated this quality in the past. Having respect and trust of other people. Naturally, the role of a magistrate requires you to have the trust of others, and also respect for your peers and everyone in our diverse society. Respect for confidence – you will be trusted with confidential information whilst serving on the magistrates bench. If you cannot be trusted, you will not be suited to this role. Absence of any matter which might bring the magistracy into disrepute. If you believe that there is any situation that may bring the service into disrepute then you MUST disclose this during the application stage. It is always best to be 100% honest. Willingness to be circumspect in private, working and public life. Ability to understand documents. Whilst serving as a magistrate you need to understand certain legal and court documents. You do not need to have a thorough understanding of law and the legal process; however, you will need to read and analyse documents. Identify and comprehend relevant facts – your role will be to listen to the FACTS that are represented in front of you before making sound decisions and judgements in collaboration with your peers. Follow evidence and arguments – during each hearing you will need to listen carefully to all evidence and arguments. Ability to concentrate – during the interview you may be asked questions to demonstrate your ability to concentrate for long periods of time. Ability to communicate effectively – this includes an ability to communicate both verbally and in writing. 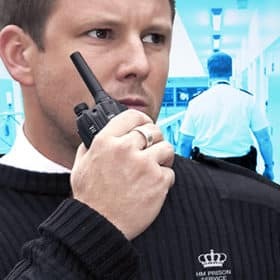 Understanding of society in general – during the first magistrate interview you will be asked questions that relate to your understanding of the society in which you live and also society in general. You can learn more about your society by working within it, either on a voluntary basis or otherwise. Respect for people from different ethnic, cultural or social backgrounds (and maybe some knowledge of ‘other communities’). It is an unfortunate fact that some people have little or no respect for people from different backgrounds. You must have a genuine respect for everyone in society, regardless of their age, gender, religious beliefs, sexual orientation, ethnicity, race or social background. Awareness and understanding of life beyond family, friends and work is highly desirable. An understanding of your local community. As already stated, you may find it beneficial to work within your community on a voluntary basis before applying. Ability to relate to and work with others – you must have the ability to work as part of a team. Generally, there will be 3 people on the magistrates bench, so you need make sound decisions collectively and come to agreements. Regard for the views of others – your view may not always be the one that the bench agrees with. You need to have regard for other people’s viewpoints and be able to listen carefully to arguments and discussions. Humanity, firmness, decisiveness, confidence, a sense of fairness, courtesy. Ability to think logically, weigh arguments and reach a balanced decision – it goes without saying that, as a magistrate in England and Wales, you will need to make sound judgements as your decisions will have a huge impact on people’s lives. Openness of mind, objectivity, the recognition of and controlling of prejudices. Reliability, commitment to serve the community, willingness to undertake at least 26 half day sittings a year (but possibly more in practice). This is an area that the committee will want to see evidence that you can actually commit to these sittings. You will also have to take into consideration time for training and development etc. Willingness to undertake the required training. Ability to offer the requisite time. Support of family and employer – whilst you will most probably already have the support of your family, it is your employer that you may need to convince that serving as a magistrate is positive for your development. After all, you will probably need considerable time off to meet your commitments in this voluntary role. So, if you feel that you meet the initial six key qualities for becoming a magistrate, we would like to welcome you onto our online intensive magistrate training course. We will now provide you with details about what the course covers. How to complete the application form – we go through the entire process of filling in the application form and we will tell you where you need to apply. How to prepare for the first interview – We will go through mock interviews and teach you what is required to pass this interview. It is important that you attend courtroom visits before your interview as you will be asked how you felt about the sentence that was passed in your interview. We will explain in detail what you need to observe in the courtroom sittings. Sample interview questions and answers – We use the actual questions that you’ll be asked in your real interview and provide you with suggested answers! How to pass the second interview including sample questions and responses. Sample ranking exercises – each attendee will have the opportunity to try sample ranking exercises. Sample case studies – There will be plenty of debate and discussion throughout the day giving you everything you need to know to pass the selection process at the first attempt. IMPORTANT NOTICE: You will receive your instant access details immediately via email. You will be able to access this intensive online training free for 7-days. After which, this service requires a monthly payment of £27 + vat 30-days after your initial free purchase. You will be charged just £27 + vat per month until you decide to cancel the service, which you can do at any time. If you cancel this service within the 7-days of your initial purchase, you will not be charged. In order to cancel your subscription, simply contact us at info@how2become.com and provide us with your order ID number and we will cancel your online service for you. There is no minimum term. This course is billed at just £27.00 every 30 days. You can cancel at any time. No minimum term. Please refer to our T&Cs for further information.